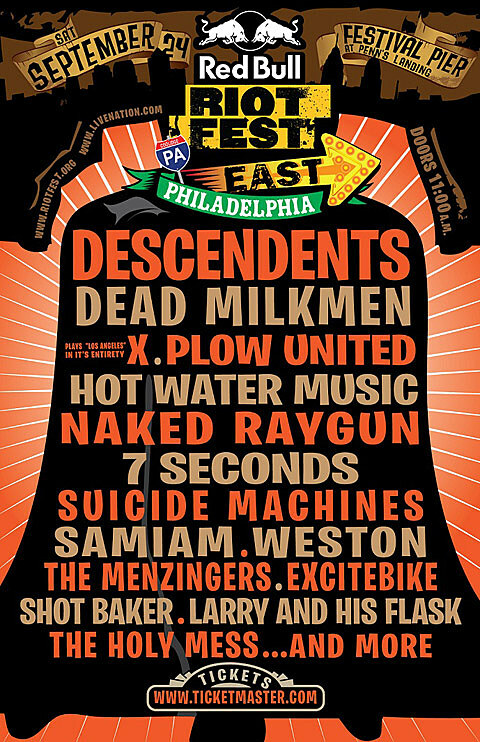 We previously discussed Phily’s Riot Fest East that will feature an appearance from the mighty Descendents and The Suicide Machines who they also play with in NYC. 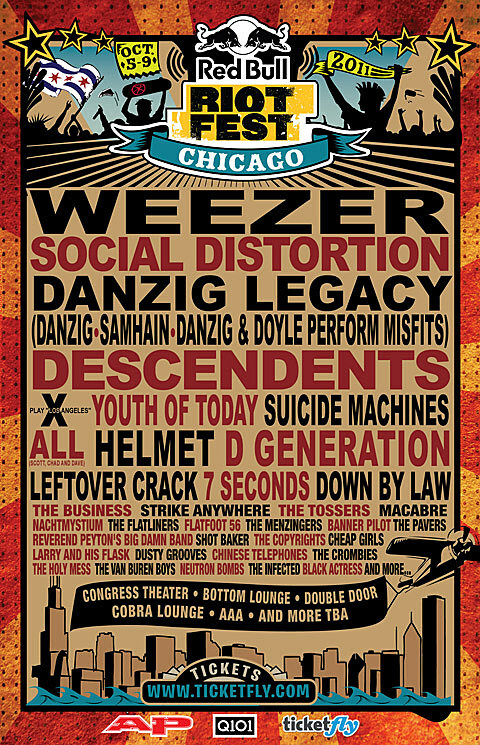 Riot Fest East, an offshoot of the Chicago festival, happens on September 24th. 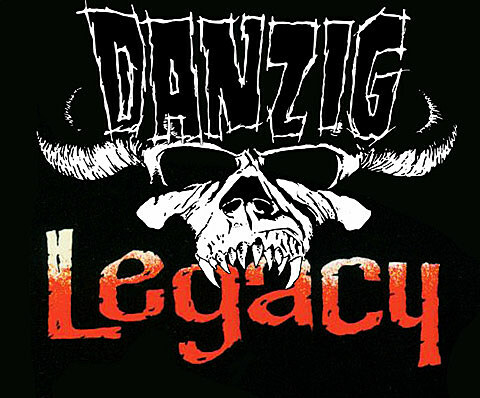 On Friday October 7, 2011 Danzig will headline Riot Fest and perform a career spanning show featuring sets of Danzig, Samhain and Misfits songs with none other than Doyle joining on guitar the Misfits set. We’ve waited years for this and we can’t wait to see the inside of the Congress Theater turn into a churning sea of humanity. Tickets for both Riot Fest Chicago and Riot Fest East are now on sale, and more band announcements are stil to come(!). Tickets are now also on sale for the Descendents show at Roseland Ballroom that Suicide Machines and H20 are opening. X are performing Los Angeles at both Riot Fests AND on two nights at Irving Plaza in NYC. Tickets are on sale for those shows too. Riot Fest show flyers and some videos is below.